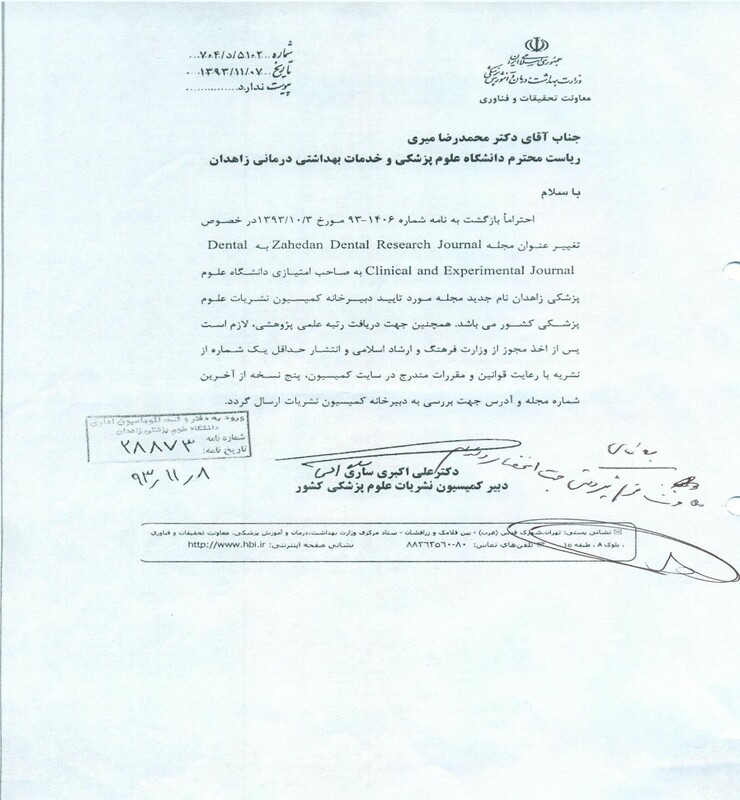 Publishing Approval The Iranian committee of medical science journals of ministry of health and medical education according to certificate number 704/5102 on 27 January 2015 as a scientific research medical journal. Aim & Scope Create links between basic science and clinical dentistry, The possibility of publishing the results of thesis research and transfer the new information to the entire country and even internationally, Encourage more people interested in research work and help disseminate their results, Reflecting the increasing development in science dentistry of our country in the world. Various fields of dentistry such as Oral Medicine, Oral Radiology, Oral Pathology, Oral and Maxillofacial Surgery, Pediatric Dentistry, Periodontics, Orthodontic, Restorative Dentistry, Endodontic and Prosthetics.